What sets Keene Chrysler Dodge Jeep Ram apart as a Jeep Dealer in NH? At Keene CDJR, we want our customers to make the most of their Jeep experience. What that consists of once they drive off the lot is up to them, but we are committed to making something special out of every step up to that point. Your time is important to us. Today’s car buyer doesn’t have the luxury of losing multiple days inside of a car dealership; especially when your goal in buying a Jeep is to get outside! At keenechryslerdodgejeep.com our goal is to create an online experience that is both informative and empowering to our customers. For each of our vehicles, we provide a detailed profile which includes manufacturer specifications, features, options (and a full vehicle history for all of our pre-owned inventory). Our Shopping Tools allow you to compare your dream Jeep to other vehicles, calculate your payment, and even schedule a test drive. Use our link to Kelly Blue Book to value your trade-in and apply for financing online right here. Just think of the time you’ve already saved! Selection is important to any buyer. After all, your lifestyle and needs are unique. A successful car buying experience is based around having enough options to weigh them, and decide what is best for you. If your search is geared towards finding something family-friendly for New England driving, we offer a wide-range of affordable four-wheel drive vehicles designed for safety in adverse conditions. With the trim level that fits your needs, we may even be able to offer a discount on the MSRP to help make your choice a reality. 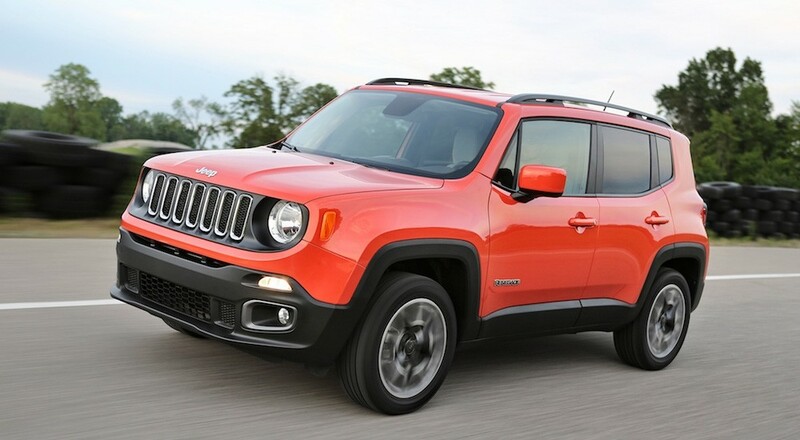 The Jeep Renegade is a perfect intro SUV with the option of 4×4 enhancement. The Renegade takes the distinctive design of a Jeep and refreshes it for today’s driver. Perfect for urban adventure, it still boasts a Best-in-Class offroad capability when optimized with the Trailhawk trim. The Patriot showcases a more classic look, perfect for more traditional Jeep endeavors “to the trail and back.” Named the “Best Priced SUV in America,” it rates 158 horsepower and 30 mpg (highway, 23 city). The Patriot stands as a testament to Jeep’s commitment to vehicles that can perform anywhere, for anyone. The All-New Compass serves up another unique update to the Jeep aesthetic. Infused with a new sporty design it is both comfortable and capable. Channeling 180 horsepower, the Compass delivers 32 highway mpg (23 city) and a strong technology package to enhance both the driver, and the passenger’s experience. The always classic Cherokee reminds you of Jeep’s ability to meet the demands of daily driving while serving up off-road prowess. The standard Sport trim is powered by a 2.4-liter four-cylinder that delivers 184 horsepower and 30 mpg (highway, 21 city). Opt for the 3.2-liter V6 and crank up the dial a bit, with 271 horsepower and 239 lb-ft of torque. A benchmark of luxury sports-utility, the Grand Cherokee remains the “Most Awarded SUV.” For the drivers who “want it all,” the Grand Cherokee serves as assurance that you can have it. With a luxurious interior overflowing with optional technology, the Grand Cherokee is designed to perform. The base model is well-equipped with a 3.6-liter V6 that pumps out 295 horses – but buyers can also opt for a jacked-up 5.7-liter V8 (360 horsepower) or a turbocharged 3.0-liter diesel V6. If your lifestyle demands something more “adventure-tested,” you already know that we’ve got you covered in the Jeep Wrangler. With an almost endless list of trim options, it remains the standard by which all sport-utility vehicles are measured in testing off-road performance. While Jeep’s factory trims meet most expectations, Keene CDJR is committed to giving you even more. As only one of three New England dealerships authorized to offer both AEV vehicles and parts, we offer a unique range of options to our Jeep customers. Here at Keene CDJR you are not limited to our available inventory. Let us help to customize your Jeep with any AEV accessories you want, guaranteeing that you drive off the lot in the vehicle that gives you everything you want in a Jeep (sometimes in as little as three days)! And if you’re a DIY-er, we are glad to help you source whatever accessories you need to build your perfect AEV mod. Either way, don’t stop at our vehicle inventory to make up your mind: take a look at our online inventory of Parts & Accessories to figure out how you can maximize your Jeep experience. Saving the best for last, the strongest part of the Keene CDJR experience: our team. Granted, we just think of them as family; and like any family, ours is built upon a strong set of values, with your satisfaction and the ease of your experience being paramount. We are dedicated to both, and our courteous and knowledgable team is here to help with any needs you may have. After all, once you’re a Keene CDJR customer, you’re a member of our family as well. Located in Southwestern NH, the Monadnock region serves up countless arguments in favor of the versatility (and FUN) of a 4×4 vehicle. From a nearly endless choice of trails to the demands of seasonal weather, Jeep offers something for everybody. 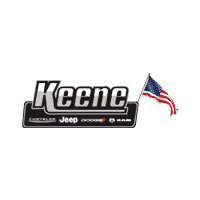 We hope that you’ll begin your search in Keene, the home of your Jeep Dealer in NH.